(London, Ontario---14/06/09) Jen Cotten of London Western T.F.C. 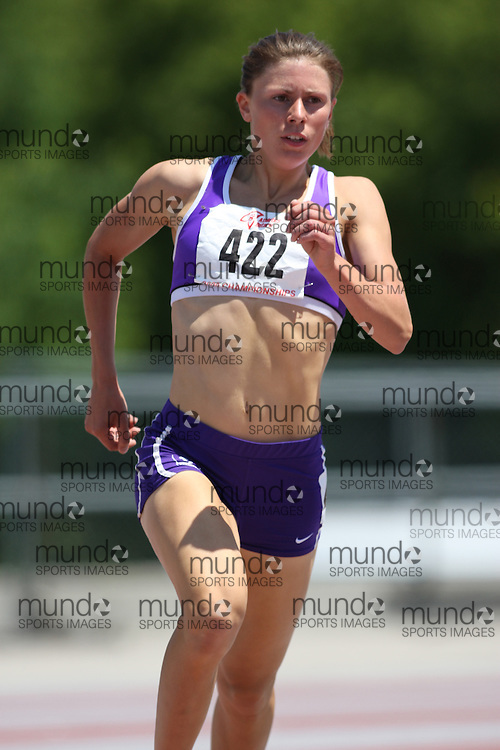 competes in the heptathlon 800m at the 2009 Athletics Ontario Junior Track and Field Championships. The meet was held in London, Ontario from June 13-14, 2009. Copyright photograph Sean Burges / Mundo Sport Images, 2009. www.mundosportimages.com / www.msievents.